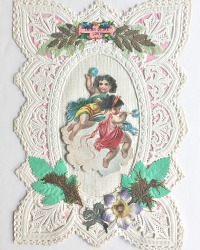 Exceptional Collectable Antique Victorian Paper Lace Valentine, with delightful detailing. 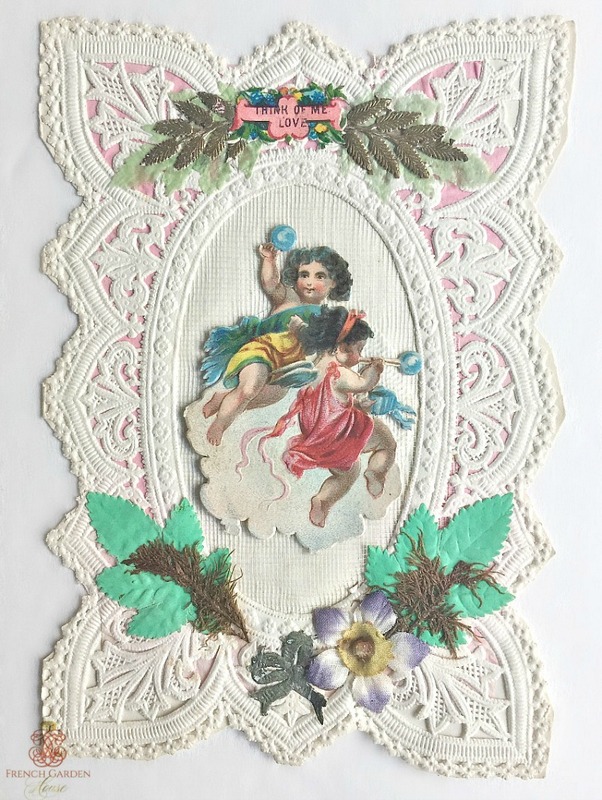 The paper lace front is embellished with scraps, the top one "Think of Me Love" is surrounded by both gilt as well as fine green paper fern fronds, the center scrap on the delicate net and features two darling cherubs, blowing bubbles. 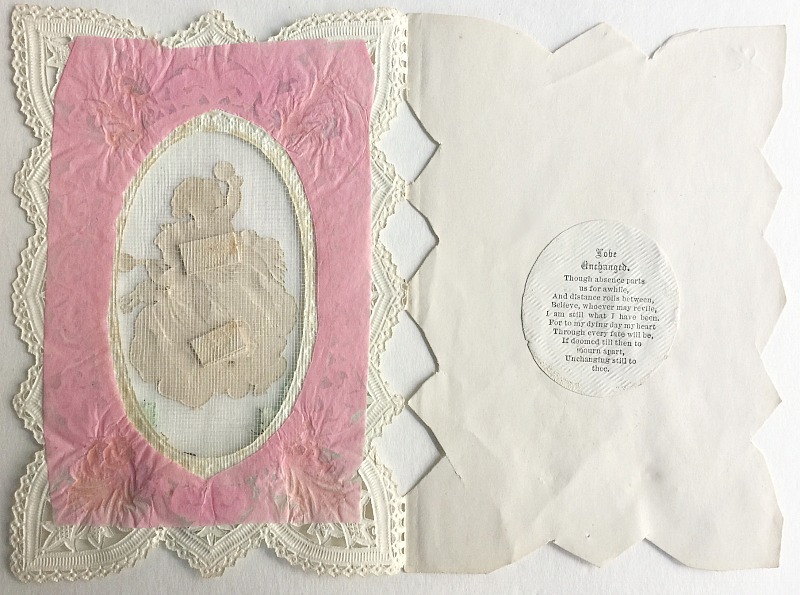 At the bottom, a silk flower, silver paper scrap bow, and real dried ferns, as well as green embossed paper leaves, all on a soft Pink background. Rare to find in good antique condition, cherished and loved by a collector of Victoriana, and comes from his estate. The scraps are beautiful and still have their gloss, this speaks of their quality. There is a slight cut on the left side of the Valentine in the front, this is negligible, it is where the maker cut into the paper lace while cutting the back paper out. On the back, in pencil, "Grand Hotel, San Francisco Feb 12 1884 From your dear friend Gardner Will write Soon". What a delight!